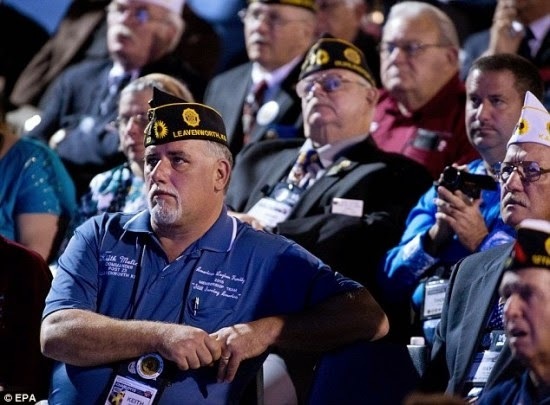 Bluegrass Pundit: Obama speaks to American Legion. Vets sit on their hands. Obama speaks to American Legion. Vets sit on their hands. It was classy of them not to boo him off the stage. His 35-minute speech seemed to have reminded the audience of the stark divide between the White House’s policy choices and the feelings of the men and women often called on to carry them out.